Hotel Sai Villa is in South City 1 of sector 41 in Gurugram. Shalimar Huda city Center is the nearest metro station from the hotel. There is a dining area in the hotel as well. The rooms have a sofa set with table for the guests. 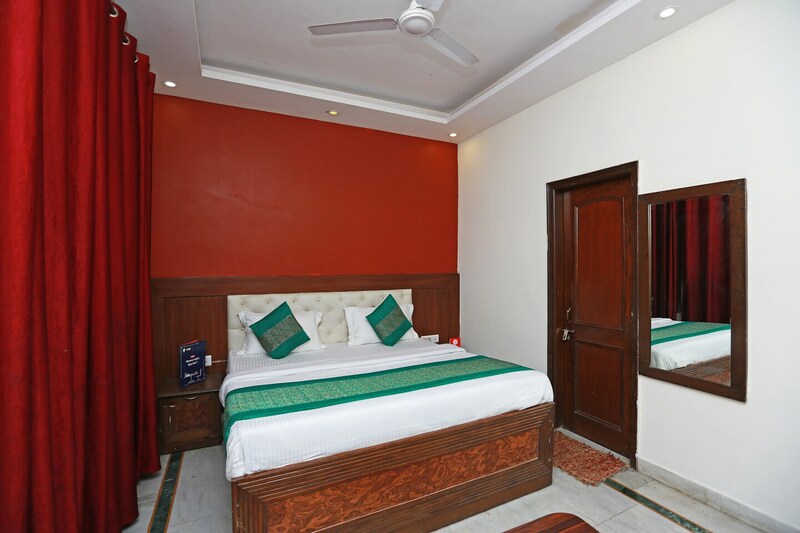 The facilities provided by the hotel in the rooms are free wi-fi, television, air conditioning, power backup, and CCTV cameras for the added security of the guests. While staying here, you can visit the Kingdom of Dreams, DLF Cyber Hub and restaurants like Thai Pavilion, Mosaic, Country Inn Restaurant, Chef Kitchen Caterers, and Raifu Restaurant.